Insight Observatory has been involved in a few modification and installation projects in recent years. 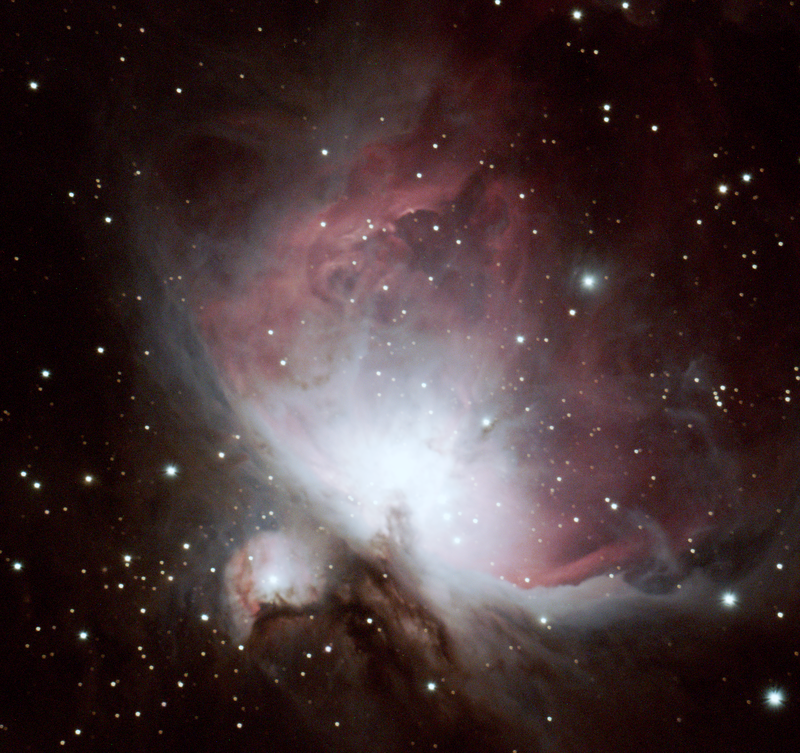 Such endeavors included installing an 11" Schmidt-Cassegrain telescope at a private high school and a robotic observatory and telescope at a science and environmental camp. 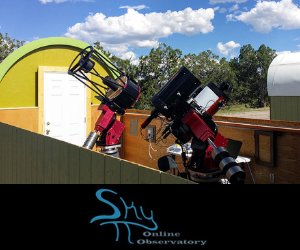 These projects are not and never intended to be our primary focus, however, these projects paved the financial way of achieving our goal of installing remote robotic imaging telescopes for education in New Mexico. Our most recent and final project of this type was by far the most challenging, but yet very rewarding. 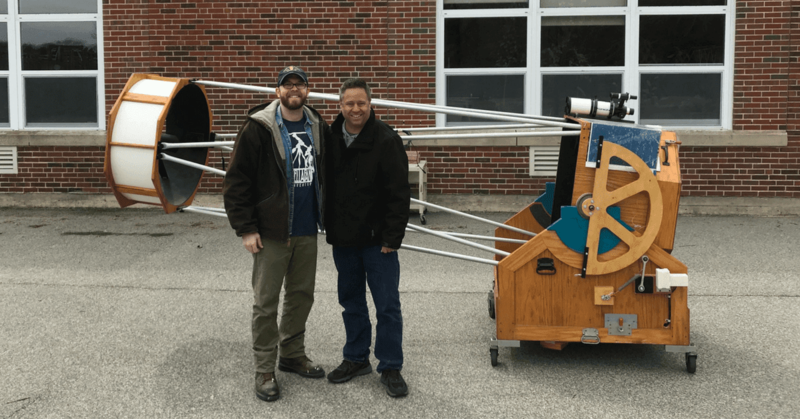 Dr. Tim Barker, Professor of astronomy at Wheaton College, donated a 32" Tectron Dobsonian telescope to the Harwich Observatory located at the Harwich Elementary School in Harwich, Massachusetts a few years back. Observatory director and elementary school teacher, Larry Brookhart found it challenging at times to manually locate objects in the night sky due to the instruments mammoth size. Therefore, this leads to Dr. Barker and Mr. Brookhart automating the telescope with a GOTO system. From left to right, Insight Observatory members Paul Bonfilio and Michael Petrasko with the 32" Tectron Telescope. Years earlier Dr. Barker acquired a ServoCAT GOTO with (Argo Navis digital setting circles) kit from StellarCAT, a company that specializes in manufacturing computerized automated telescope systems for Dobsonian telescopes. The kit was designed for 20" Dobsonian telescopes as he anticipated installing it on a 20" Dobsonian telescope he owned at the time. That was our first hurdle... To figure out how to install a kit for a 20" telescope on a 32" telescope. This scenario actually worked out to our advantage as the 32" telescope's rocker box and base were altered years back from a previous attempt at installing a different automated goto system by another vendor. Unfortunately, the attempt failed and the telescope's base and rocker box were altered to the extreme that the ServoCAT system Dr. Barker owned could not be installed in the proper manner. This is where the ingenuity of Insight Observatory Associate, Paul Bonfilio, came into play. Paul had the vision of utilizing torque to automatically slew the telescope rather than depending on the power of the servo motors solely that came with the kit as they are designed to do. This seemed to be the only option due to the extreme alteration of the telescopes rocker box and base. 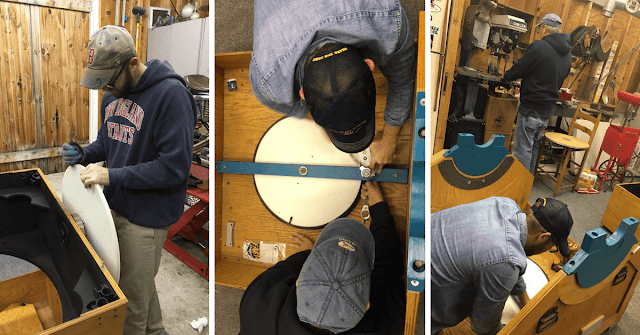 Paul Bonfilio Sr. and Paul Bonfilio Jr. working on the customized azimuth gear from repurposed hardware. Paul and I brought the telescope's rocker box and base up from the observatory to Paul's father's barn (workshop) in Plymouth, MA to work on the project. Paul's father, Paul Bonfilio Sr., is a master of many trades and was equipped with the required tools necessary to complete the project. It was incredible witnessing the two of them brainstorm through the project together. Both of them have NEVER worked on telescopes and had the vision and "know how" to make this work! Paul Bonfilio Jr. installing the D-gear assembly for the telescope's altitude operation. The azimuth gear was fabricated from a repurposed part from the previous attempt to automate the telescope. The altitude gear is a D-Gear that a local high school woodshop teacher graciously cut for us on a CNC machine. The design for the gear was drawn up on a CAD software application provided by a local Computer Aided Drawing teacher at another local high school. The clutch and digital setting circle encoder installations for the GOTO system had to be altered as well to work with this new D-Gear setup. After installation of the kit was complete, there was much testing to be done in the barn with the rocker box and base. 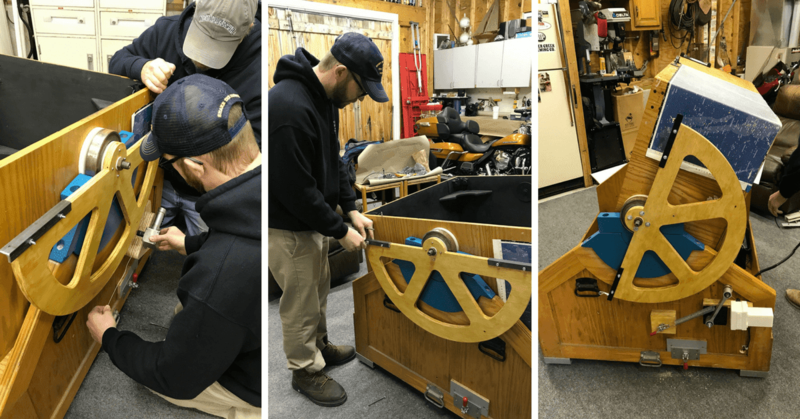 After achieving success slewing, it was time to bring the components back to the Harwich Observatory and re-assemble the 32" mirror and truss to the rocker box. Our two fears were that the cable we used on the D-Gear to move the optical tube assembly up and down would not be able to handle the weight and/or the servo motors that were made for the 20" telescope model would not have enough power to slew the telescope. Well... Our fears were put to rest when the telescope slewed without issue due to Paul Jr's. concept of utilizing torque! 32" Tectron Dobsonian telescope modified with a ServoCAT and Argo Navis GOTO system (manufactured by StellarCAT) installed by the staff of Insight Observatory. I would like to thank both Paul Bonfilio Sr. and Jr. for their persistence to make this project a success as well as the patience by our clients, Dr. Barker and Mr. Brookhart, in spite all of the obstacles we encountered! We look forward to getting a look through this beautiful instrument some evening at one of Harwich Observatory public star parties. One of the most rewarding experiences from this project was working with those in the education community to benefit astronomy education. Good stuff, Mike! And a big, "Hut!" to you!